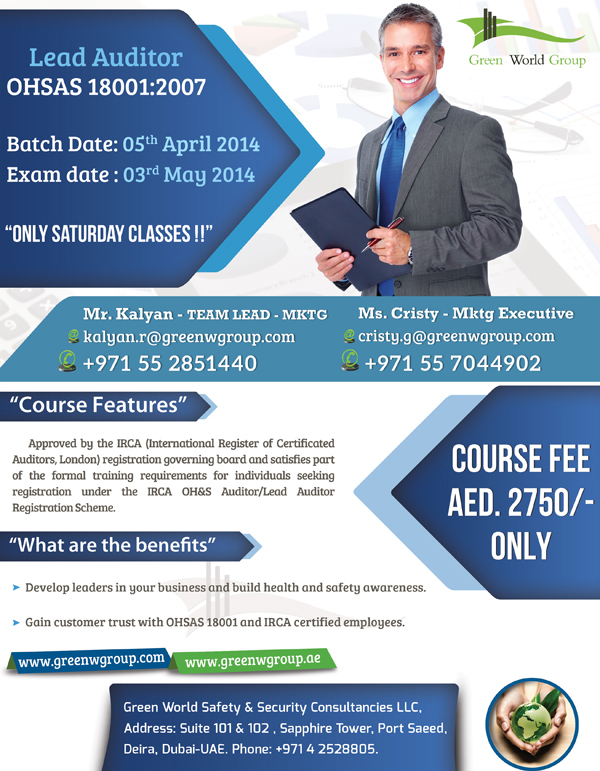 Green World Group offers for IRCA certified Lead auditor course in Dubai at AED 2750 /- only. Batch Date: 5th April 2014. Exam date: 3rd May 2014.